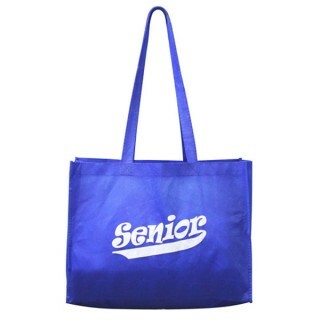 These Senior Graduation Tote Bags can be ordered individually or in large quantities for bulk discount pricing. If you are interested in placing a custom order for a large group of 500 or more, we would be happy to discuss with you! Customize this tote bag with your school logo and message to ensure that your students, parents, faculty, and community show school spirit. Simply contact our warm and friendly staff to place your custom order.